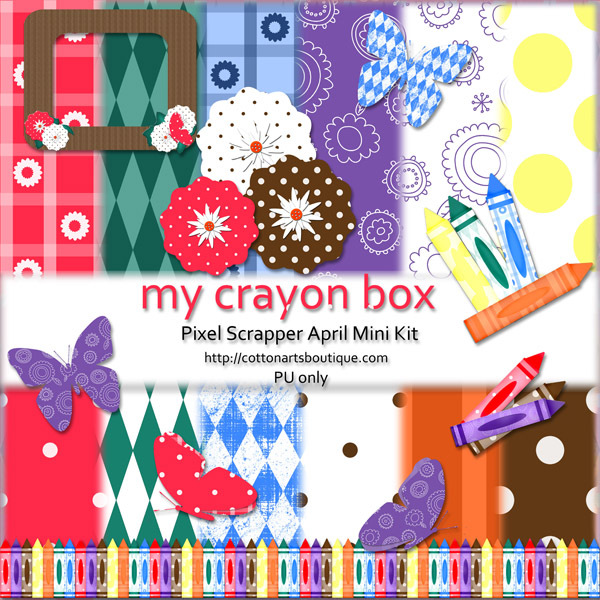 The last mini kit for the month of April. Splish splash was created with a call for rain drops in the design. 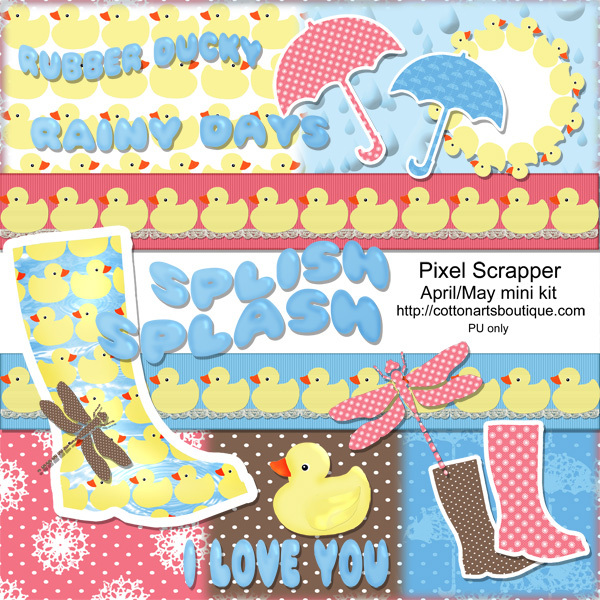 There is a rain drop paper and the rubber ducky boots have puddles just for the ducks. 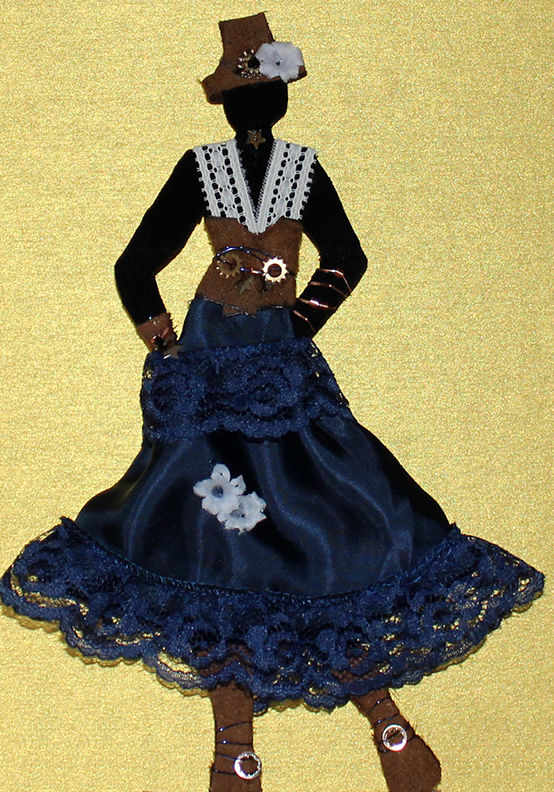 Fanny is a paper doll created for the Art For The Creative Mind Yahoo group. She is wearing her finest suede vest, hat, boots and wristlet with lots of gears and beads and her best silk skirt. She is gathering together for an evening of fun at the annual God and Goddess Convention and ready to party !! 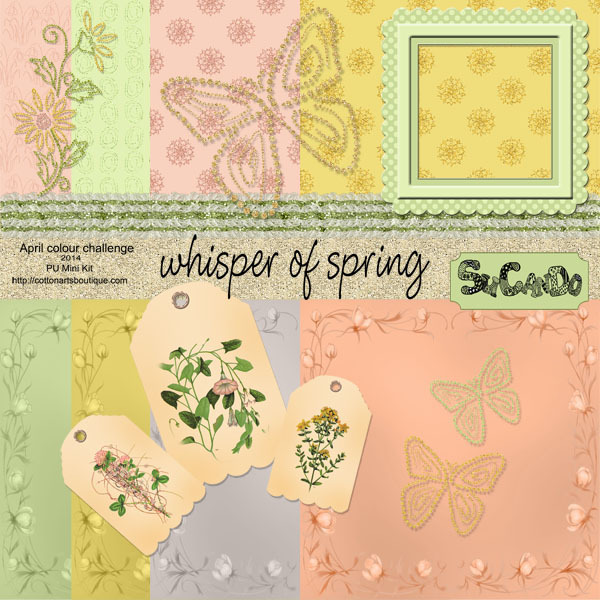 Another weekly challenge at Pixel Scrapper … for this one I used the basic crayon box colours. Pixel Scrapper overlays were used in some of the papers. They have lots of free overlays, templates and elements … stop by and take a look.